Now you can add the power of magnets to your MightyMind® or SuperMind® activity sets. This upgrade set of 32 peel and stick soft magnets precisely fit MightyMind or SuperMind Design Tiles. 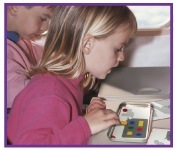 The magnetic field is strong enough to pass through the puzzle boards. 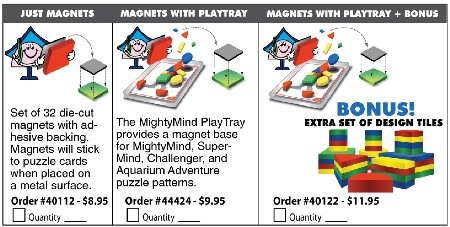 MightyMind Magnets fit MightyMind, SuperMind, and MightyMind Aquarium Adventure Design Tiles.